I met with Midway yesterday at the W Hotel where they had the greatest rice krispy squares dipped in chocolate. This ships on June 19, 2006 for PS2 and Xbox. It's more than the same old SpyHunter because there is an added 3rd person action element staring The Rock. It's pretty melee heavy. I got to play this one and it was a lot of fun. Driving had that exciting combat. I kept dying during the level with the boat. The gun battles and fighting were pretty cool and they really bring a new dimension to the game. This will be Midway's first next generation game for Xbox 360, PS3, and PC. It's a John Woo project, the spiritual sequel to Hardboiled. Chow Yun Fat plays Inspector Tequila and the game takes place in both Hong Kong and Chicago. There is environment is massively destructible and rooms look like a gun battle took place there with debris on the ground and the walls being all chewed up by bullets. 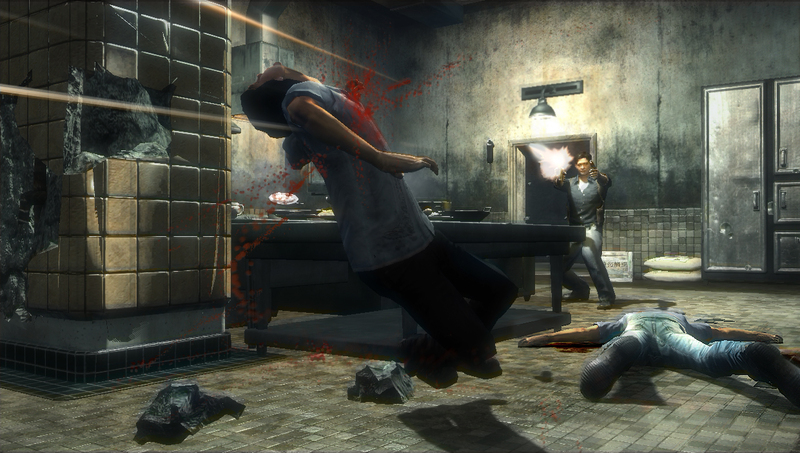 The theatrical effects are there with blood spray and the animation is very fluid. There's also Tequila Time where you move in real time and everyone else moves in slow motion. It's being developed by the same team that did Psi-Ops and they're using Havoc physics and the Unreal Engine 3.0. 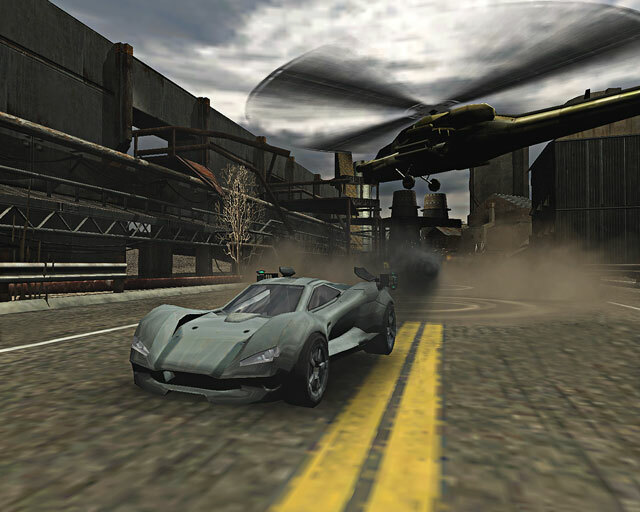 Stranglehold is scheduled to ship in winto 2006. These are two cute games that will come out alongside the Warner Bros movies. Happy Feet is a bunch of dancing penguins so it will be part rhythm game and part belly sliding like a snowboarding game. This is the culmination of all MK games to date with every (roughly 60) characters from all the other games together in a 3D fighter. There is an in-depth Kreate-A-Fighter mode complete with Kreate-A-Move and Kreate-A-Fatality. It's also possible to define victory and taunting animations. There's online play. There's combat in the air where you can jump up and grapple with your opponent. The all new Konquest mode looked pretty sweet, almost enough to be a game itself. 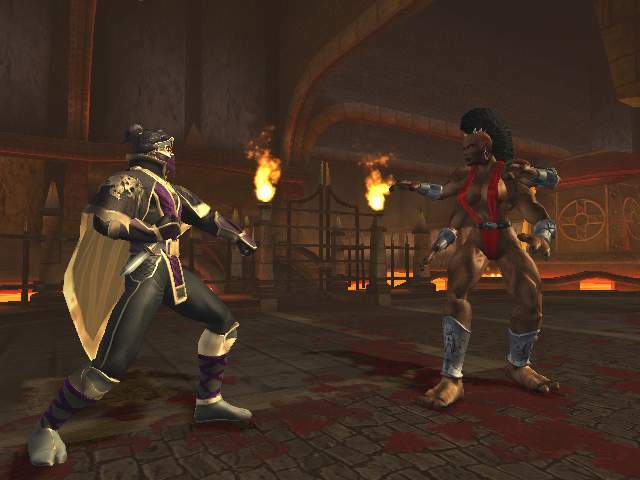 MK Armaggedon will ship in Fall 2006 for Xbox and PS2. This ships in April 2006 for PS2 and Gamecube. 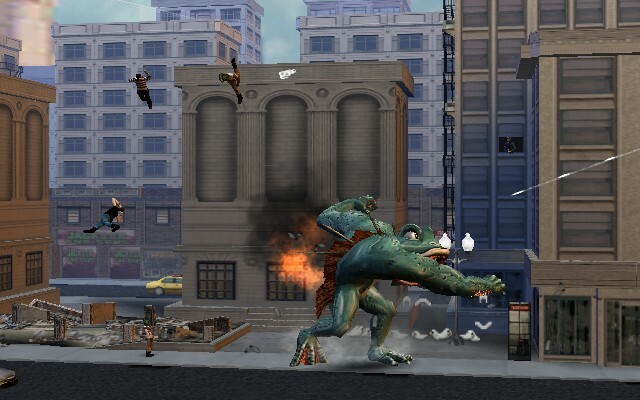 Play as 30 different monsters, each with a unique personality and wreak havoc. For $19.99 it also includes versions of the old Rampage.